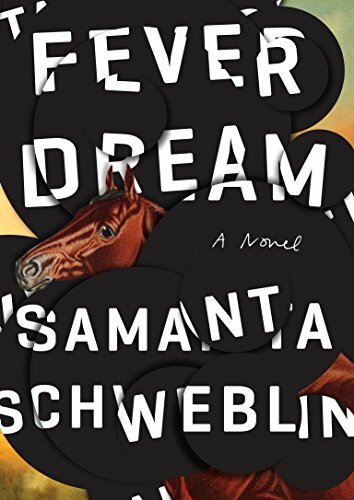 Samanta Schweblin’s first novel, Fever Dream, is part contemplation, part living nightmare. Amanda lies in a dark hospital room, accompanied by a boy who is not her son. David walks her through the story of their meeting, as two very different mothers care for their two children in a dusty small town. Amanda worries over what she calls the “rescue distance”: “that’s what I’ve named the variable distance separating me from my daughter, and I spend half the day calculating it, though I always risk more than I should.” He presses her for details, because the two have an unnamed riddle to solve, but at the same time repeatedly chides her, “that’s not important.” This paradoxical sense of urgency combined with immobility evokes a classic bad dream. With relentless tension and steady pacing, the mystery of what has happened to Amanda, and to David, unfolds. This is a story about a parent’s need to protect her child; unnatural elements cannot obscure a cautionary tale about the pressures of parental love. Fever Dream may be contagious: the reader should beware the compulsion to read it in a single sitting, pulled helplessly along by the power of the story. Though brief, its stream-of-consciousness style and absence of chapters emphasize a sense of inexorable forward momentum. Megan McDowell’s translation from the Spanish expertly delivers every atmospheric moment and line of near-panicked dialogue. A sense of foreboding hangs over this story that is at once a dark fairy tale and a realistic expression of everyday danger. This review originally ran as a *starred review* in the January 20, 2017 issue of Shelf Awareness for Readers. To subscribe, click here, and you’ll receive two issues per week of book reviews and other bookish news. Rating: 7 details that do not matter.